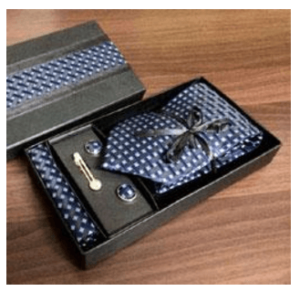 SPARKET specializes in corporate gifting attire, ranging from neckties, scarves, cufﬂinks, tie pins and corporate gift sets which include necktie cufﬂink sets, tie pin and necktie sets. We are highly praised in the industry for complete range including neckties, logo ties, scarves, tiepins, cufflinks, socks and hankies. These are available in different colors, designs and prints in compliance with latest market trends using superior quality fabrics. We ensure that these are stringently tested on various quality parameters and the entire range is widely appreciated for its attractive design, excellent finish, eye-catching pattern, color fastness, shrink resistance and durability. 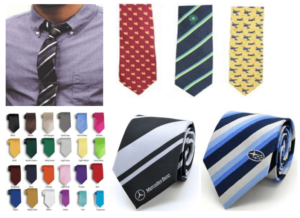 We offer the widest range of supplies of neckties – micro ﬁbre jacquard, satin block, plain, stripe, logo etc. can be highly customised depending upon your requirement. Our product list includes micro-ﬁbre jacquard neck tie, satin block neck tie, plain satin neck tie, stripe neck tie, logo neck tie and neck tie gift sets. We are strongest in fulﬁlling corporate gifting orders. Having supplied neckties to many companies in India from various sectors like pharmaceutical, security, airlines, banking speaks volumes of our experience in gifting industry. We look forward to pleasure of working with your company, as necktie is a perfect gift for employees, opinion leaders and clients. Neckties can be selected from our wide range as displayed below including with options of various gift sets for your business associates. However, for your own employees you can decide to go with your logo to give identity with pride to flaunt while working out on the field. Made to order as per your requirement or you can select from our wide range for the business associates. For employees, perfect gifts to allow them to silently convey their association with the company and its legacy. You can select from the various choices we have as either part of a gift set or stand alone or go for customisation to match the event or create camaraderie. Please feel free to select from our wide range to suit your budget and your branding can be done on the box or inside to ensure brand recall and appreciation from the recipient. A perfect utility business gifts for the audience who has to move around well-dressed while carrying out their normal duties. 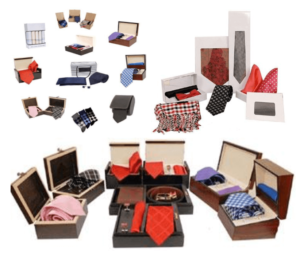 Tie, pocket square and Cufflinks with choice of various outer box to suit your taste and style. Containing Tie, Cufflink, Pocket square and Tie pin and the gift box can be customised to suit your end purpose within your given budget. Please search for the missing item or the product in our regular blog as you will find the same under some other more relevant topic. 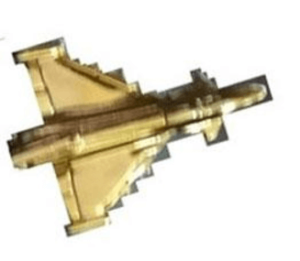 We take immense pride in proudly claiming that we offer you Everything from A Pin to a Plane from Sparket Corporate Gifts – for pleasant surprises.